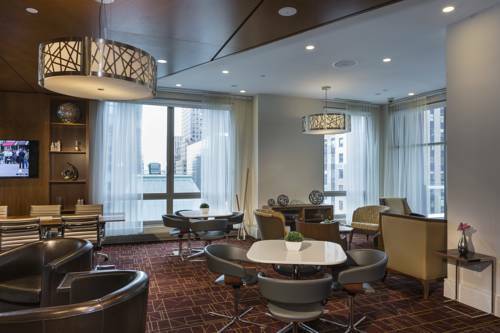 Hotel Boutique at Grand Central is located on Lexington Avenue near extensive transit links stores and restaurants. The hotel is steps away from Grand Central Station and Park Avenue and a short walk to Madison Avenue and the United Nations Building. Multi-Menu delivery to Club Quarters guests and menus are available in the guest rooms. Davios the award winning Northern Italian Steak House. A sculpture of a pistol with a twisted barrel is a popular UN photo op.